Travel Advisor Tips – World Travel Guides and Useful Travel Tips! TravelAdvisorTips.com is one-stop travel guide on your road to the most exhilarating world destinations providing numerous travel tips. Just click on one of many travel articles on the website to learn more about a certain destination you are headed to, find out which attractions are worth visiting and which ones you can do without. Travel Advisor Tips travel guide saves you time and money time after time with our overview of many free places to visit and free things to do in places you would expect to spend a fortune at. For your information our website presents some of the most attention worthy travel articles grouped into 10 major travel destinations presented in the main menu. Simply click on parts of the world that you are considering visiting to learn more travel tips, information on the best hotels, top destinations and a full blown spectrum of attractions virtually for any traveler. Western Europe located on the smallest land based continent contains within itself an impressive magnitude of cultural and natural riches. It is hard to find any other location in the world that would be appropriate for literally any traveler. What is not to love: castles in Ireland, Royal palaces and Westminster Abbey in England, unique Netherlands capital Amsterdam with a plethora of canals, museums, galleries to explore by day and Red Light district to explore by night? Italy with its Renaissance era architecture, art and cultural heritage, iconic museums and cities is another story in itself. From Bavarian beer festivals in Germany to Vienna Opera House in Austria and Switzerland with its fairy tale like landscapes and world class skiing resorts. But wait, what about France with the Eiffel Tower in Paris and French countryside chateaux spread along Loire Valley. And sizzling Spain wins everyone over not only by its architecture, landscapes but by flamenco dancing and mouthwatering tapas cuisine. United Kingdom is a country that adores its queen, never misses its 5 o’clock ritual and was hosting 2012 Summer Olympic Games. Throughout its long history it had taken part in just about any major world event showcasing its great military might and political wit. Today, England, Scotland, Wales and Northern Ireland are hosting millions of tourists drawn to their attractions including 25 UNESCO World heritage sites, Buckingham Palace, Westminster Abbey and Trafalgar Square in London and, of course, prehistoric remnants from the Stone Age to the Dark Age. Then there are cities like Edinburgh, Leeds, Yorkshire Dells and Glasgow full of old world charm coupled with modern ultra urban night clubs and restaurants. Eastern Europe slowly waking up from its almost century long “behind the Iron Curtain Wall” slumber is welcoming more visitors than ever before attracted by its immense cultural and natural resources that until recently remained closed for Western tourists. There are many reasons to come to the Eastern part of Europe to see Russian churches, palaces and unbelievable museums, Baltic States boasting even more beautiful coastal landscapes and culture, sample tasty Polish cuisine and marvel at its medieval castles in Warsaw and Krakow. 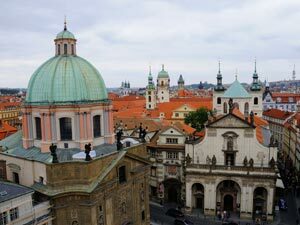 Among other top destinations here is Prague in Czech Republic that offer it all to visitors ranging from its historical architecture, lovely museums and top notch gastronomy. Then there are Danube River cruises and world-renown spas in Budapest, Hungary and medieval castles in Transylvania, Romania. And finally gorgeous seaside resorts in Bulgaria and Greece coupled with priceless historical sites like Mount Olympus and Acropolis in Athens are without a doubt some of the top reasons of coming here. Russia, being the largest country on Earth, does not fall short on the top notch attractions being offered by your travel guides. Indeed, occupying territories spanning across multiple geographical and climatic zones, there is so much to see, from the Russian Far East and Siberia regions boasting some of the most beautiful National Parks, lakes, mountain ranges and diverse wildlife to world class Black Sea resorts by Sochi. In Moscow, visitors can take in some of the best sites in the country including Kremlin, the Red Square, Bolshoy Theatre and an array of amazing cathedrals. 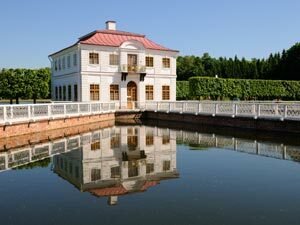 In the cultural capital of the country, Saint Petersburg, some of the best attractions are the most renowned museum in the world – The Hermitage, Alexander Nevsky Monastery, magnificent palaces and a series of stunning bridges. The country is immense in its size so referring to one of many travel articles on the website will help plan your trip more effectively. Scandinavia is a scarcely populated region in Nordic Europe containing just a handful of countries with some of the most impressive sceneries and landscapes. Norway with its majestic fjords, troll culture and beautiful sea ports; Iceland boasting stunning glaciers, gorgeous Gullfoss Waterfall and geothermal springs are welcoming millions of visitors in search of their outdoor wonders. In Finland, tourists love relaxing in wooden cottages, going sledding and playing in snow castles. Visit cultural Stockholm in Sweden and a magnitude of islands in Denmark along with Viking heritage sites. The United States of America is one incredible travel destination presented by 50 distinct states spanning from the West coast of California to the East coast of New York, Alaska way north in the Arctic and Hawaii in the North Pacific. Indeed, it is hard to choose which state to visit, what to see in do in this huge country but do not despair since we have plenty of travel articles on American destinations to keep your coming for more. 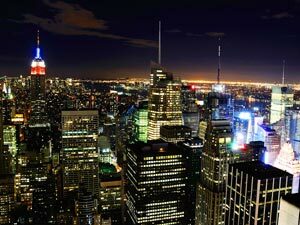 Our travel guide across the United States will teach you how to save money in New York City if you want to see all of its incredible attractions ranging from the Statue of Liberty, Metropolitan Museum, Central Park and much more. In addition, we will help you learn which cities are worth visiting and which must-see attractions in California to include in any itinerary. From world famous zoo and Balboa Park and its museums in San Diego to the Golden Gate Bridge in San Francisco to great beaches near Los Angeles, we have you covered. In America you can gamble in Las Vegas, see 4 former American Presidents carved into the Mouth Rushmore in South Dakota, visit Grand Canyon in Arizona and take in the cowboy culture in Texas. Ski in Colorado, camp in the Yellowstone National Park in Wyoming and see incredible Great Lakes in the Midwestern portion of the USA. It does not stop here: Mardi Gras festival in New Orleans, Kentucky Derby and gorgeous tropical beaches of Florida. In Alaska you can enjoy majestic northern landscapes, feast on fresh salmon and visit the Kenai Fjords National Park. Then there is Hawaii like no other state with a plethora of islands to surf and swim, Polynesian culture to explore and cuisine to savor. Canada is second largest nation in the world blessed with incredible outdoors like fresh water lakes, vast forests, Canadian Rockies mountain range and culture heavily affected by British and French influence. It does not matter whether you head to this North American destination to ski, fish, kayak or enjoy its great outdoors, all seasons are great to indulge in the best vacation destination imaginable. Savor the best lobsters and whale watch in Nova Scotia, take in the culture and chic of cosmopolitan Vancouver, visit its beautiful Banff National Park in Alberta, dive into the French cultural epicenter in Quebec City and Montreal. Finally, do not miss the popular attraction in North America – Niagara Falls and Royal Canadian Mint in the capital Ottawa. Mexico is one of the most beloved tourist destinations in the world combining 6000 miles of coastline, incredible cultural attractions, historical heritage and some of the best cuisines in the world. 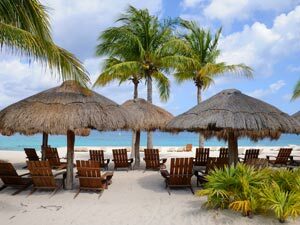 Tourists will find a myriad of world class resorts in places like Cozumel, Cancun, Puerto Vallarta, Acapulco and many more ideal for water sports and leisure activities. 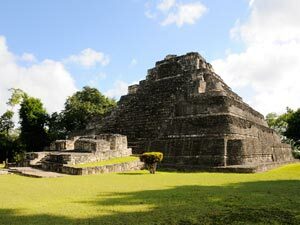 Lots of archaeological sites with remnants of ancient Aztec and Mayan civilizations are some of the top attractions including Chichen Itza, Teotihuacan and Uxmal. 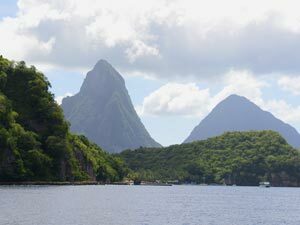 Caribbean region tucked away between the North and South America presents itself with a cornucopia of tropical islands some of the top vacation and wedding destinations in the world. Choosing which island to go to is perhaps the toughest choice to make, however, our helpful travel tips will easily answer all of your burning questions which island is better for which activities. These islands are not only about the lazy days at the beaches intermingled with snorkeling and scuba diving, here you see some of the rarest animals and plants, learn about islands’ historical plantations and slavery past. Central America is one of the most favorite places to visit if you love scuba diving, hiking, mountain climbing and exploring ancient cultures in between. 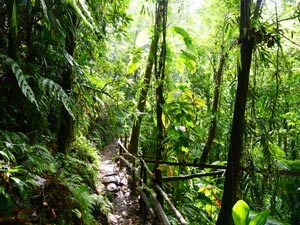 Contained within just a handful of countries there is and incredible potential to be explored ranging from Caribbean beaches, lush tropical forests with endemic wildlife species and incredible cuisine. Among the top notch attractions you will find Belize Coral Reef, multitude of Mayan ruins and the iconic Great Blue Hole. 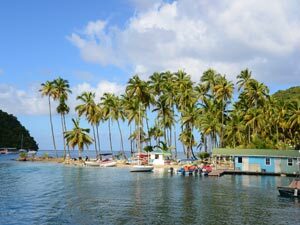 Beaches and volcanoes of Costa Rica, sea port of Roatan in Honduras and Panama Canal are even more reasons to visit this majestic destination. South America is one of the most beautiful continents on Earth showcasing its incredible natural wonders, cultural attractions and hundreds of miles of white powdery beaches. Our travel guide will help you decide which one of 13 countries are worth visiting and which top notch destinations should be included in your itinerary. Whether you choose to see Cristo Redentor Statue in Rio de Janeiro, Brazil or endemic animal and plant species of Galapagos Islands in Ecuador, or hike Machu Picchu trail in Peru, we have you covered providing the most essential travel tips. Africa, the second largest continent on Earth, offers more for today travelers than any other travel destination in the world from exhilarating safari adventures, to one on one encounters with pygmy villagers, incredible cultural heritage of African nations and, of course, witnessing the most ancient traces of human civilization on Earth. But there is much more including its incredible desert experiences and, most definitely, its Mediterranean and Red Sea, Atlantic and Indian Ocean coastal resorts. From Egyptian pyramids, to Mount Kilimanjaro in Tanzania, to gorgeous Victoria Falls in Zimbabwe, this continent keeps all travel guides buzzing. Middle East, the birthplace of three world main religions, the most mysterious and alluring destination on Earth has been attracting visitors for centuries. From biblical sites in Jerusalem, Israel and Jordan, to the Ottoman Empire Topkapi Palace in Istanbul, Turkey and luxury world class resorts in Dubai, UAE, Middle Eastern countries are a pleasure to explore all year round. Blessed with miles and miles of the Mediterranean, Red, Dead and Arabic Sea resorts and Persian Gulf there is a myriad of opportunities to spend a relaxing or adrenaline charged vacation. Asia, the largest and most populated continent on Earth, offers a cornucopia of attractions to its visitors ranging from the Great Wall in China, Taj Mahal in India, Mount Everest in Nepal and breathtakingly beautiful island resorts in Indonesia and Thailand. We did not even mention its cultural riches nestled in its temples, traditions of its many nations and authentic cuisine that is a feast for your eyes and stomach. No matter if you favor posh 5 star vacations or laid-back trekking experiences, Asian countries offer a magnitude of travel itineraries for you to explore. Australia will grab you with its natural beauty and never let you go. Its rare endemic flora and fauna are incredibly fun to explore at a variety of Nature Reserves where you can bump into all sorts of kangaroos, wallabies, koalas, wombats and god forbid snakes that are very plentiful on the continent. In addition, you will explore Sydney Opera House, the longest Coral Reef in the world that is identifiable from space, Tasmanian wilderness and aboriginal culture near Uluru. New Zealand was discovered later than any other part of the world. Being presented by two islands, North and South, it is a stunner both visually and culturally. Its biodiversity is mind boggling and most of its fauna and flora species are 100% endemic due to islands’ geographical isolation. Among its pristine attractions one will delight in visiting its Tongariro and Fiordland National Parks, geothermal paradise Rotorua, the city of Wellington made famous by the filming of the Lord of the Rings and the Hobbit blockbusters and, most certainly, metropolitan city of Auckland. Exotic islands are tropical paradises where lazy days spent lying by the sparkly waters slowly flow into one another and where time stops amidst the unsurpassed coastal sceneries, mountain views and incredible rainforests. When the sun goes down, wild nights filled with rum and dancing take their toll on crowds of vacationers and honeymooners. Literally scattered all over the world, these exotic destinations are quite unique in their nature. From Bermuda island popular among Americans for quick weekend getaways, to the Maldives islands located in the midst of the Indian Ocean, to Madagascar off the African coast that has lots of unique to its fauna animals like lemurs and birds. Canary Islands lying on the opposite side of the African continent offer such a variety of distinct islands ranging from volcanically barren Lanzarote to lush tropical paradise Gran Canaria. Polynesian islands like Bora Bora and Tahiti are favored by celebrities and millionaires due to their lavish infrastructure and incredible sceneries. No matter which of the islands you choose, rest certain that the information published on our site is the most up-to-date allowing you to plan your vacation better. In our cruise travel section you will find detailed travel information on some of the best cruising destinations describing which ports of calls you can expect to visit, about the top shore excursions and which ship is better for you. Whether you choose exotic Caribbean or Mediterranean cruise or perhaps you are in the mood for Alaska or Antarctic exploration, you will find travel articles to match your curiosity. The goal of this website is to deliver interesting and important information about all kinds of travel and vacation, worldwide destinations, travel and country visiting regulations and fun stuff. Our reporters and article authors are working hard to get lots of travel related things addressed here. To stay right on track with the latest and hottest travel deals and itineraries, like TravelAdvisorTips.com on Facebook, follow us on Twitter @traveladvisor4u, join our circle on Google Plus or follow our boards on Pinterest as a great way of not missing a single useful tip and deal ever again. Stay tuned!